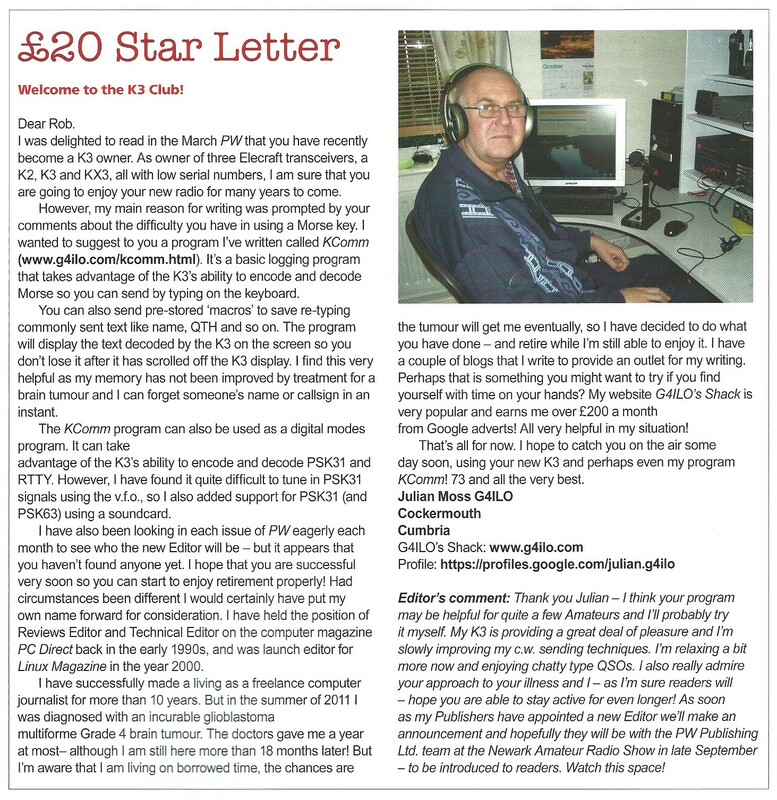 G4ILO's Blog: I'm a star! Good to see you in PW Julian, I got a copy the other day and saw your letter. I am sure it will generate some extra visitors to the blog! I was delighted to see your letter. You'd have made a good PW editor, too!